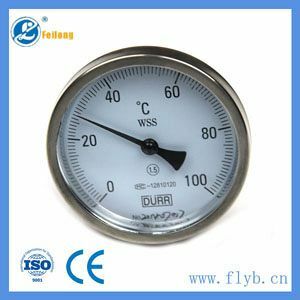 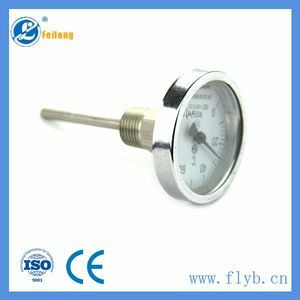 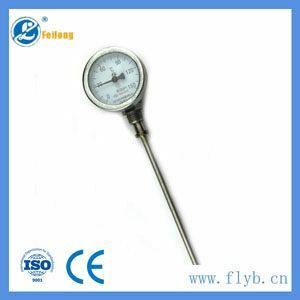 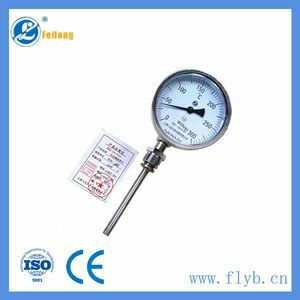 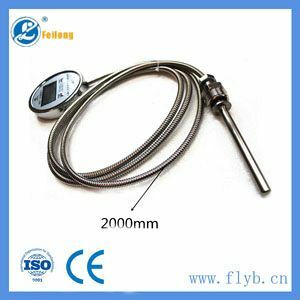 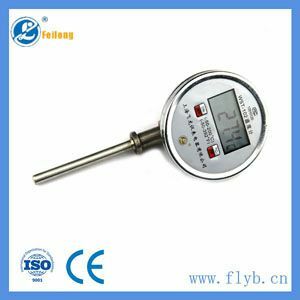 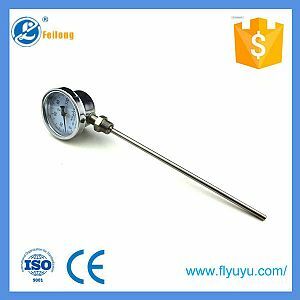 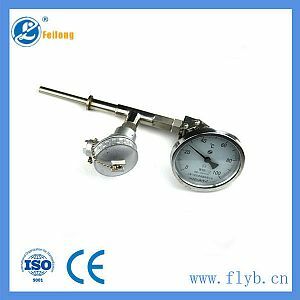 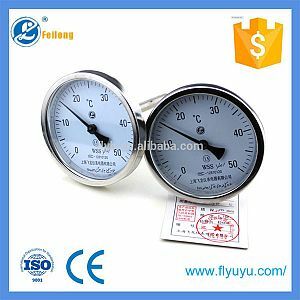 The definition of the bimetal: Bimetal thermometer is a measure of the temperature at the bottom of the field instrumentation, can be measured directly in the various production processes -80 degrees Celsius to 600 degrees Celsius liquid, steam and gas medium temperature. 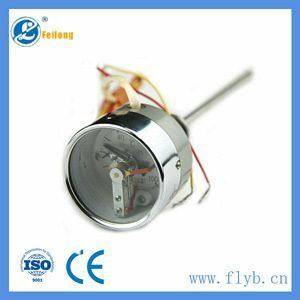 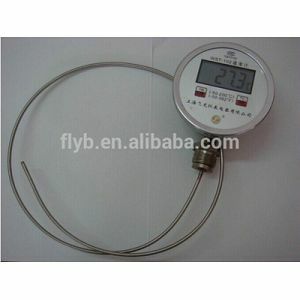 Measurement principle：Bimetal thermometer is composed by bimetal thermal deformation coefficient of two different metals will produce a corresponding potential distortion meter pointer or drive changes the temperature changes, the working instrument will be based on deformation of the metal pieces show the corresponding temperature value. 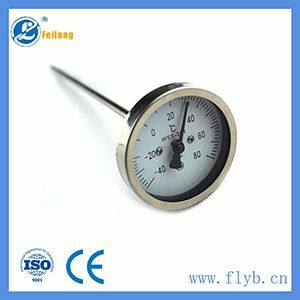 Feature：Scene shows the temperature, easy and intuitive Safe, reliable, long life.To form a variety of structures to meet the different requirements.